Fed Up With the Fed! On December 23, 1913, Congress passed the Federal Reserve Act. The result? The greatest theft in the history of the world! A U.S. Federal debt of over $5,000,000,000,000, the loss of America's gold and silver reserves. and the devastation of our economy! Few know that the Federal Reserve is not a U.S. government agency but a privately owned banking system. Perhaps you don't believe that? Mr. Lewis was injured by a Federal Reserve vehicle and sued the U.S. government. On April 17, 1982, the court ruled: "...that since the Federal Reserve System and its twelve branch banks are private corporations, the federal government could not be held responsible." " If the American People ever allow the banks to control the issuance of their currency, first by inflation and then by deflation, the banks and corporations that will grow up around them will deprive the people of all property, until their children will wake up homeless on the continent their fathers occupied. The issuing of money should be taken from the banks and restored to Congress and the people to whom it belongs." Alexander Hamilton lobbied for the first privately-owned Federal Bank, and in 1789 Congress chartered the bank for 20 years. In 1811 President Jefferson refused to renew the charter for the bank stating, "I sincerely believe the banking institutions having the issuing power of money are more dangerous to liberty than standing armies." In 1816 Congress established the second Federal Bank. 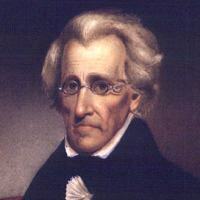 But, President Jackson , overiding Congress, closed it in 1836 commenting," The bold effort the present bank had made to control the government ... are but premonitions of the fate that await the American people should they be deluded into a perpetuation of this institution or the establishment of another like it." In 1913 Congress established the Fed to end periods of U.S. inflation and recession. Sixteen years later, as predicted by Lindbergh, came the worst financial depression in U.S. history. Although many economists state that the depression was the result of the Hawley-Smoot Tariff Act, which increased duties on imports, it should be noted that the bill was not signed into law until April 1930, eight months after the crash. Others thought differently. " When business in the United States underwent a mild contraction in 1927,the Federal Reserve created more paper reserves in the hope of forestalling any possible bank reserve shortage. ... More disastrous, however, was the Federal Reserve's attempt to assist Great Britain... The excess credit spilled over into the stock market - triggering a fantastic speculative boom... As a result, the American economy collapsed." - Alen Greenspan, Federal Reserve Chairman - "Gold and Economic Freedom,"
Incidently the "Money Trust" bankers made fortunes in the crash. They had, amazingly, removed their funds from the market just before the crash. "It was not an accident, it was a carefully contrived occurance. The international bankers sought to bring about a condition of despair here so that they might emerge as rulers of us all." - Louis B. McFadden, Chairman, House Banking Committee. Another bill co-sponsored by Senator Aldrich was the 16th Amendment creating the Income Tax. As a consequence, the IRS was established to collect taxes to compensate for tariff losses resulting from the Underwood Trade Bill, which cancelled most tariffs. Instead the IRS has been used to support the Fed. Doubting the 16th Amendment was actually ratified, Bill Benson and Red Beckman traveled the 48 states, gathering certified documents. According to the two volume work, " The Law That Never Was," the amendment was not properly ratified by even one state! Can you imagine a Congress which has permitted the IRS to acquire such powers that even they are intimidated by the agency. Talk about negligence. Frequently resorting to outright confiscation, the IRS refuses to permit a jury trial unless the assessed taxes are paid first. You are guilty until proven innocent! In 1933 President Roosevelt confiscated our gold. In 1965, under President Johnson, silver was removed from coins. And in 1978, during President Carter's administration, Congress took us off the gold standard. The American people were robbed, and did nothing! Even if you have cash, it isn't true money, Read it, it's a Federal Reserve Note. Worse yet, it's an unsecured , an indebtedness for which no security has been pledged. It is known as fiat money. Paper currency not backed by gold or silver. - Black's Law Dictionary, 6th Edition. Because it is not backed by anything of true value, our currency can be devalued at any time. In Peru their fiat money was devalued 1,000,000 to 1 overnight! Compared to a dollar in 1900, today's U.S. dollar is worth about five cents. It has been the devaluation of the dollar, not inflation, which has reduced its buying power.! If the Fed issues $100 billion at 10% to the banks, the banks will have to repay $110 billion at year's end. But, only $100 billion was put into circulation so there isn't $110 billion available, and the $10 billion shortage becomes debt. All money is borrowed from banks, and is known as debt money. If someone borrows $100,000 at 10% to open a company, they put money into circulation and the economy improves. But when they repay the loan plus the interest, ($110,000) to the bank, more is removed from circulation than was added, and the economy suffers. With debt money, if all debts were repaid, there would be no money in circulation! Equally as bad is Fractional Reserve Banking. Banks, and the Fed, loan additional money above their cash assets at a percentage set by the Fed. For example, if the fractional reserve is set at 10% and a bank has $1 million on deposit (10% of $10 million), they can loan an additional $9 million- money they do not have! But they charge interest on this imaginary money that they loan! Thus banks are printing money in the form of checks. It is fraudulent and unconstitutional , but as long as other banks, businesses, and people honor the checks it functions as money. This illegal act by banks has been one of the primary causes of panics and depressions throughout history. How can the Fed actually control the United States? By decreasing interest rates the Fed can create an economic upswing causing stock values to rise. Conversly, increasing interest rates causes the economy to falter. Who is blamed for recessions? Not the Fed! Pity the president who disagrees with the agenda of the Fed. And the taxpayers pay them to have such control! This may sound impossible, but the Fed writes a check on an account in which there is no money. The check is accepted as money by the creditor's bank, and it is eventually returned to the Fed. Consider how the public debt is increased. When more money is needed, the Fed sells Treasury Bonds (pieces of paper) for the amount required. These bonds are sold at an interest rate set by the Fed. Treasury then sends the printed currency to the Fed which pays a few pennies for each printed bill. The money is then sent to banks for issue as debt money. However, unlike government agencies, the Fed must pay for postage on mail and the real estate taxes on their properties. Although the president appoints members of the Federal Reserve Board of governors, their 14 year terms mean they can outlast presidential influences. Federal Reserve workers are not civil service employees. In "Secrets of the Federal Reserve", Eustace Mullins states that the principal shareholders of the Fed are: the Rothschilds, Lazard Feres, Israel Schiff, Kuhn-Loeb Co., Warburg Co., Lehman Brothers, Goldman-Sachs, the Rockefeller family, and the J.P. Morgan interests. To whom does the Fed owe its allegiance? Constitutional money is gold or silver. Originally these precious metals were sent by owners to the mint and transformed into coins. This money was then spent into the economy and remained in circulation. Every dollar improved the economy of the country , and , in an exchange of goods for money, the seller received true value in gold or silver, or in gold or silver certificates. Even if Congress were to issue debt money the interest would be returned to the U.S. Treasury, not to a private bank. Why would members of Congress continue to support such an evil entity as the Fed? Because, since our currency is not backed by gold or silver, Congress can spend all it wants knowing full well that the Fed will provide them with the money, They will not have to raise taxes- they just put us deeper in debt! In its entire history the Fed has never been Audited! Citizens for Better Government, Gainesville, Fla.